Although the weather is nearly perfect all year in Los Cabos, we are excited summer is just a couple of months away. 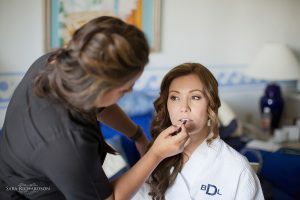 Our summer brides are already planning their beachy bridal styles, so we think now is the perfect time to share a gorgeous summer bridal look from one of our Pueblo Bonito Rose brides last June! 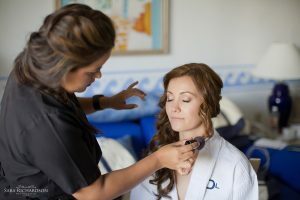 Though many of the major resorts in town do offer salon services, none of them has the experience of our professional stylists and make-up artists. 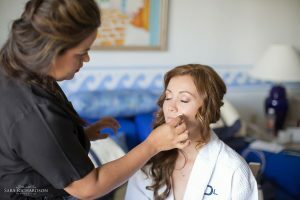 We have been exclusively serving bridal parties for more than 12 years in Los Cabos, and we are now allowed to style brides on-site in all the major resorts! Since we only do wedding hair and make-up, our stylists are always up-to-date on the latest trends in products and technique. We think you deserve to look and feel your best on your wedding day. Call us to book your trial run today! This entry was posted in Cabo Bridal Hair and Makeup and tagged beach bride, beach wedding look, Cabo bridal salon, Cabo bridal stylist, Cabo hair and makeup, Cabo wedding professionals, Cabo wedding salon, destination bride, destination wedding vendors, Mexico bridal salon, Mexico wedding salon, natural wedding makeup, Pueblo Bonito Rose Cabo, romantic wedding makeup, soft wedding makeup, summer Cabo wedding, Suzanne Morel Cabo salon, Suzanne Morel Face and Body Care, wedding hair downdo.